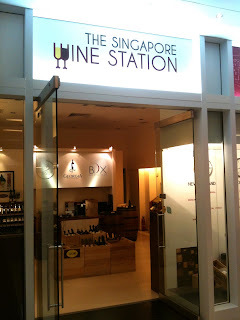 Georgian wines may hold the reputation of being the oldest wines in the world, but ironically they are also one of the least available ones in Singapore as well. Though they have been well sought after by the Russians (at least until recent years), the rest of the world seem to take a short term curious glance at these wines and move on to those produced by other countries. Can it be the case where the grape varietals used are relatively unknown (and some even difficult to pronounce) to wine enthusiasts in this part of the world? Can it be that consumers here being mostly unfamiliar with the flavour profile of Georgian wines, tend to stick to known international varietals from familiar wine regions? Can it be that consumers are being label conscious and wary about serving unfamiliar labels to friends and clients? The Singapore Wine Station, One Raffles Link, CityLink Mall, #B1-17A, Singapore 039393.